It’s been much too long since we’ve heard from Shannon Young, an American expat in Hong Kong who recently achieved her dream of becoming a full-time writer. Those who have been following her diary from the beginning won’t be surprised to learn that she’s been extremely productive in the interim. About to finish her five-book fantasy adventure series and begin the next, she shares some proven methods of generating story ideas. Forgive me for letting so much time pass since my last entry. As you can probably guess from my previous entries, I’ve been busy! Nearly a year ago—on April 1, 2016—I published the first book, Duel of Fire, in my second fantasy series, called Steel and Fire. It’s a five-book series, whereas my first series, Seabound. was a trilogy. As the title suggests, I’ve been writing an adventure series; the Seabound books are dystopian fantasy. Also, from the start, the Steel and Fire novels have done much better than my first set, which I hope can be taken as a measure of my success as a budding writer. The last time I wrote you, I was about to finish Book Three in Steel and Fire. I’d also set myself the goal of launching Book Four by the end of 2016: achieved! Then in January I wrote the rough draft of the fifth and final Steel and Fire novel. As I wrap up this series and gear up for the next, I thought it might be an opportune moment to tell you about how I get my writing ideas—something we haven’t really gone over before. 1) Draw on life experience to build a new world. As a science fiction and fantasy author, I am challenged over and over again to build a world that is different to everyday reality. Expats like you and me have a serious advantage. We have literally transplanted ourselves into a new world already. Viewing people, customs, vocabulary, clothing, and architecture as a newcomer or outsider already puts us in the mindset for developing a compelling world for our stories. The more you work with a world, the more you can push the boundaries beyond what you already know about it. It’s not so much creating a world as it is excavating one—an idea I lifted directly from Stephen King’s On Writing. As King says, it’s easier to expand upon and discover ideas than to think them up cold. Build outward from an initial concept, and the ideas almost write themselves. In my dystopian Seabound series, for example, I chose a post-apocalyptic ocean setting and developed my ideas from there. I gave the characters entire vocabularies that revolve around nautical terms. All of my similes had to be relatable for people who have lived on the ocean for sixteen years. “Salt” and “rust” became swear words. I created an oil rig that is a central meeting place, versus a market. 2) Don’t forget about the story—and the power of contrast in telling it. As anyone who’s written fantasy will know, it’s easy to get so bogged down in the details of a world that you forget about the actual story. Travel writers know this, too: it’s not enough to describe a cool place. You have to take your readers on a journey through it. One way to come up with a story idea is to set up an inherent contrast. Two characters from different social classes fall in love. A by-the-book detective has to work with a rogue. A normal girl teams up with a paranormal being/secret agent/feisty old woman to defeat a bad guy. Use the built-in tension of contrasting characters to help figure out what your conflict should be. Again, starting with the seed of an idea and building outward is easier than thinking up a whole story from scratch. 3) Read other books for inspiration. Another way to think up story ideas is to seek inspiration in other books. You shouldn’t copy another author’s ideas, but reading an engaging story can be a great way to get the juices flowing in your own mind. For example, you might be sitting by the fire enjoying the school antics of Harry Potter when—BAM!—you think to yourself: what would it be like if the whole thing took place at a boarding school in space? There’s your idea. Bonus points if you can bring an old idea into a new setting— think Firefly’s country western in space or iZombie’s murder mystery series with a zombie sleuth. You can also get fiction ideas from reading non-fiction. You might be enjoying the latest expat memoir about your soon-to-be adopted home when it occurs to you things could get really interesting if someone got murdered or an EMP destroyed the electrical grid in the middle of the expat author’s adventures. Don’t be afraid to take someone else’s plot and add a new twist. Just run with it! 4) Live with a cold idea for a while, until it heats up. I come up with my very best ideas while I’m working on other projects; but what happens when you have a general idea of what you want to write about, and you’re not sure how to move forward? How do you get more specific ideas on which to build a story? My favorite method is to walk around with the idea for a while. It helps if you can give yourself some parameters, such as “I want to write about a murder in the city where I live.” Don’t think too hard about it; just go about your daily life occasionally remembering that you’re looking for a particular story line. You may find that you see or overhear something that connects with the question in your head and hits you straight between the eyes with a great story idea! This method works for problems within stories as well. Often the necessary solutions will come to you when you least expect them, but only after you give yourself an initial question to mull over. (This is why getting ideas in the shower is common among writers.) Don’t forget to keep a notebook handy so you can capture those ideas the moment they arrive. In closing, I’d like to pose a question to the readers of this diary entry. What are your tried-and-true methods of coming up with story ideas? 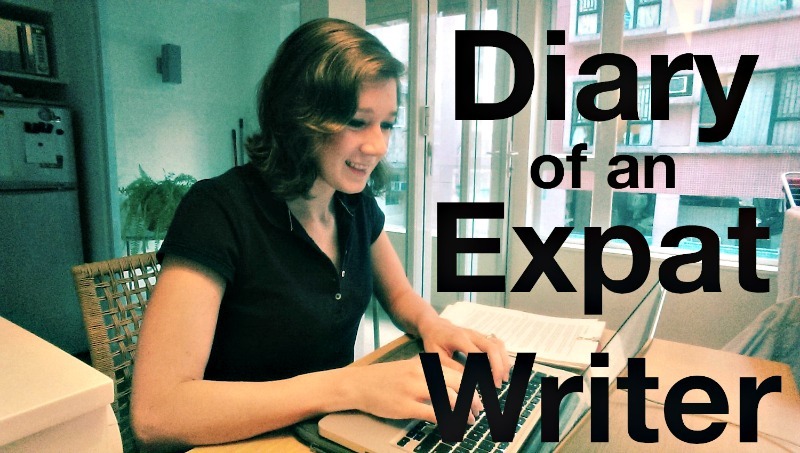 Do you usually start out knowing what you’re going to write or discover it along the way? Happy writing in either case! And thank you, Displaced Diary, for your continuing encouragement! If you enjoyed this post, we invite you to register for The Displaced Dispatch, a biweekly round up of posts from The Displaced Nation and much, much more. Register for The Displaced Dispatch by clicking here! Great ideas to start stories. I don’t write fantasy, but I do many of the things you listed. I also keep a notebook with ideas in it. It may be a sentence, a title, or even a snippet of a description. I try to keep a small notebook handy as I never know where I’ll be when an idea will strike. If I don’t have my notebook, then I email myself. These ideas I may start soon or later. I wait to see which one really speaks to me. Kind of like walking around with it. Usually one is stronger than all the others…it’s like it is calling me to write. This is a great point about waiting to see which of your ideas speaks to you. I also keep a notebook with me at all times. It’s almost like waiting until the idea builds up enough steam to release into an actual outline. Thanks for your comment!